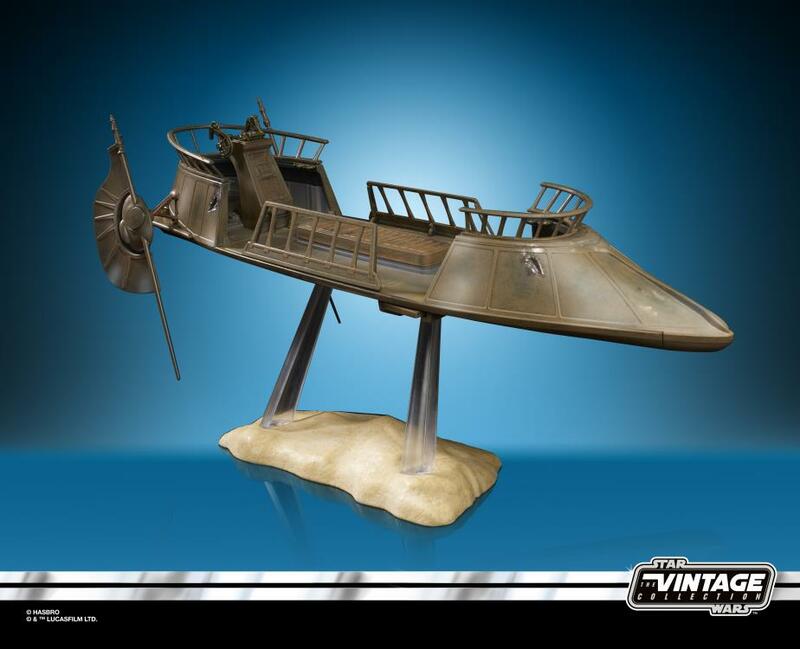 From the comfort of his barge on Tatooine, Jabba the Hutt orders his men to make Luke Skywalker walk the plank of the Desert Skiff. 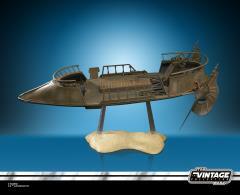 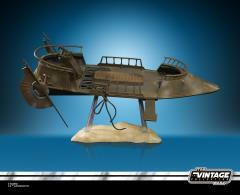 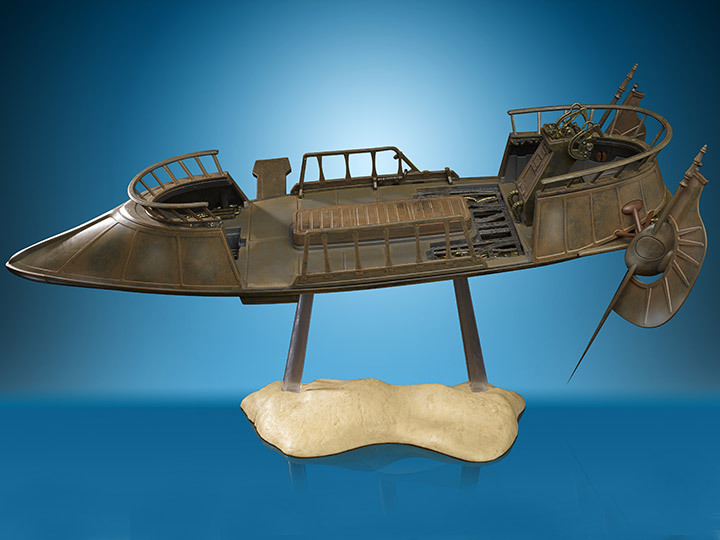 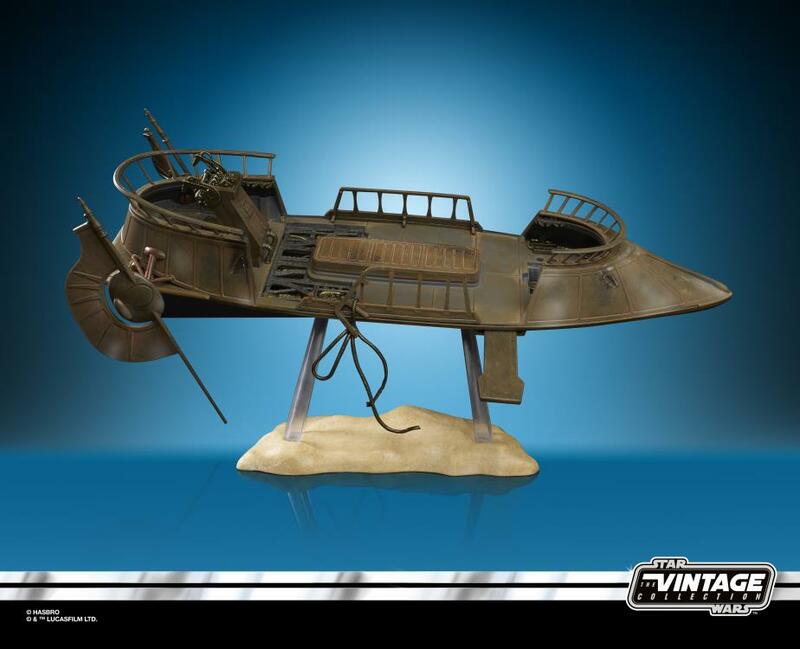 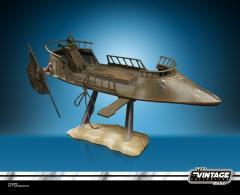 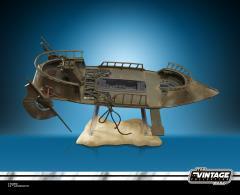 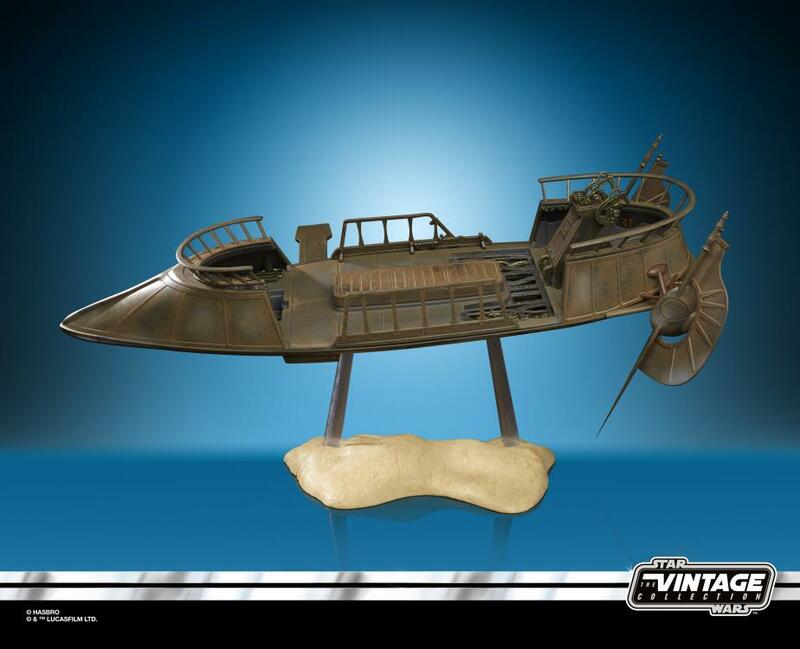 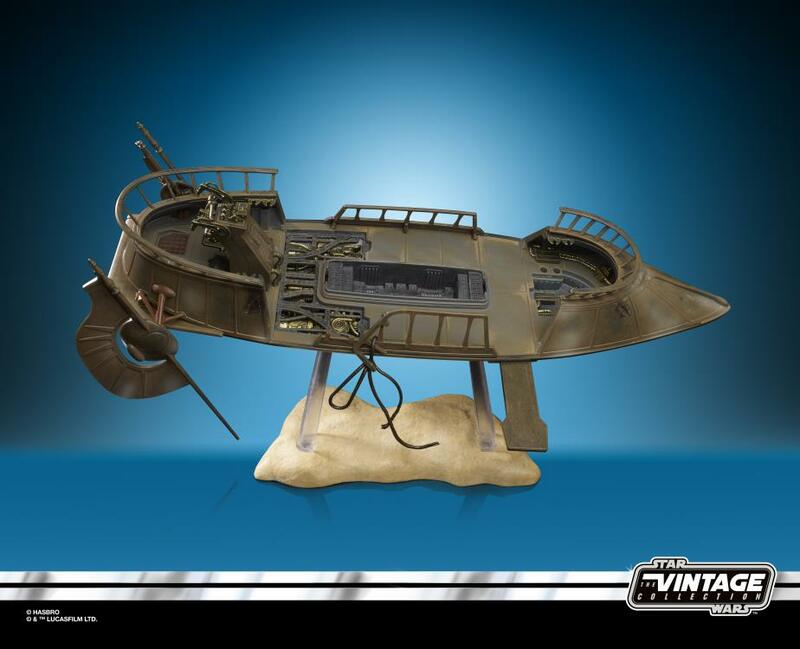 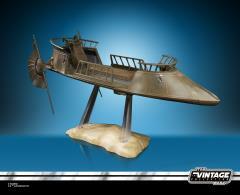 This ultra-detailed Star Wars The Vintage Collection Jabba’s Skiff Vehicle features movie-inspired design, adjustable and removable parts, and sturdy, clear display stand. 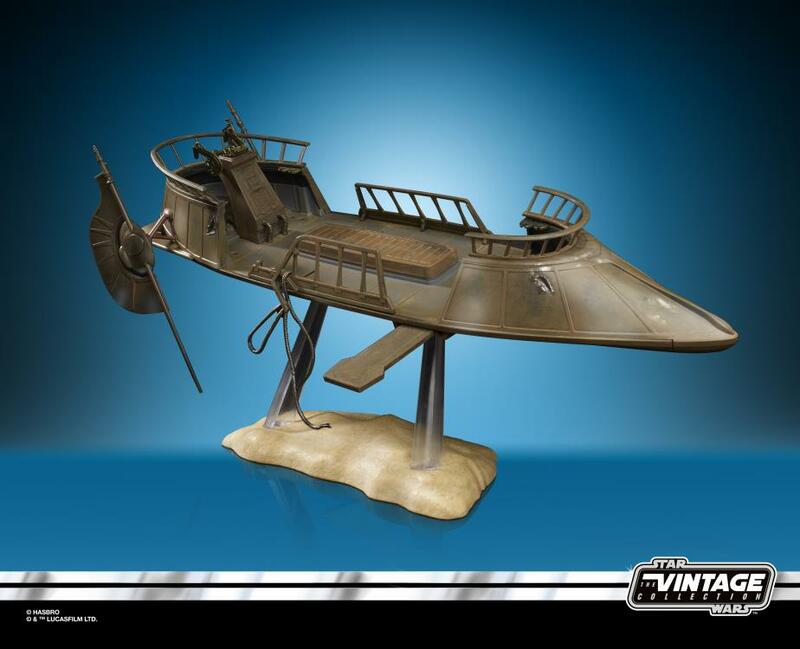 Scaled to fit multiple 3.75-inch-scale action figures (each sold separately), the skiff makes an ideal addition or beginning to any Star Wars toy collection.